The incumbent governor, who won in a landslide, spent spent six times as much as his Republican challenger. Gov. 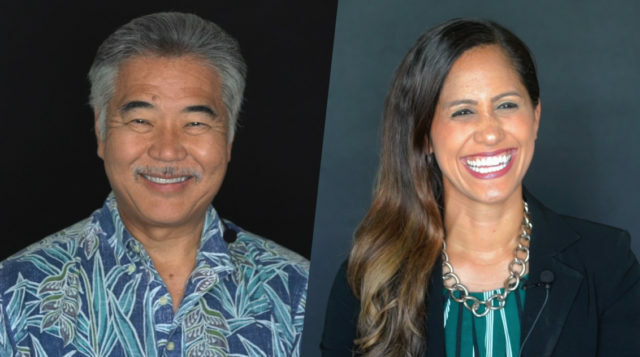 David Ige’s landslide margin of victory over challenger Andria Tupola on Nov. 6 mirrored his monumental money advantage, according to newly released campaign spending reports. Ige spent more than $558,000 on his campaign between the primary and general election. Tupola spent $185,674 during the same period. For the entire election cycle, Ige spent a grand total of $3.2 million on his re-election campaign, six times as much as Tupola, who spent $510,655. Ige won 61.4 percent of the vote to Tupola’s 33 percent. Gov. David Ige spent a total of $3.2 million on his re-election campaign this year, almost six times as much as GOP challenger Andria Tupola. Tupola didn’t get much financial support from the state GOP, which threw her $500 in the last weeks of the election, in addition to the $140 it gave her earlier this year. 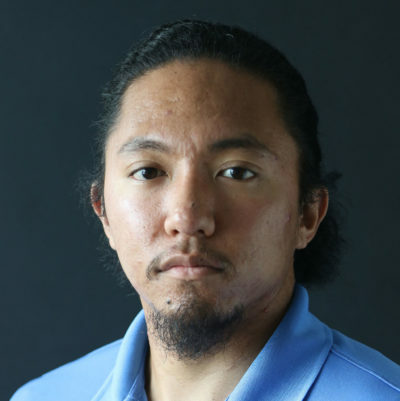 Compare that with the $2,000 it spent covering mail flyer costs for state House candidates Val Okimoto, who won the Mililani seat, and John Miller, who lost a race to represent Wahiawa. The Republican Party won’t be required to file another spending report until Dec. 6, but its last report from October showed a balance of $54,476. Shirlene Ostrov, the GOP state chair, could not be reached for comment Thursday. But she told Civil Beat in September that the party’s focus would be on supporting candidates in legislative races. The biggest spending push on Ige’s side came just after the primary, when he spent over $400,000 on events and advertising for himself and his running mate, Lt. Gov.-elect Josh Green. Campaign spending for both tapered off in the last two weeks before the general election. Their reports were required to be filed this week because they will be sworn in Monday. Ige finished this election cycle with a $272,690 surplus. Green had a surplus of $109,719. Tupola finished with a deficit of $734. Her running mate, Marissa Kerns, who isn’t required to file a report until Dec. 6, had a $9,248 deficit created by an unpaid $15,000 debt balance as of the last filing Oct. 30. In the most recent filing period, which covered Oct. 23 to Nov. 6, she reported spending $56,616. Two of Tupola’s largest expenditures were $10,000 for a fundraising event at the Four Seasons Resort and $9,374 for Uber rides. She also spent about $5,000 on ads in the Honolulu Star-Advertiser, $7,200 on television ads with Raycom Media and $7,550 for payroll management provided by Atamai Inc.
During the same Oct. 23 to Nov. 6 filing period, most of Ige’s expenditures, which totaled about $144,600, went to radio and print advertising as well as other campaign events. That amount is dwarfed by the $800,000 push his campaign made in July and August to defeat Congresswoman Colleen Hanabusa, his Democratic challenger in the hotly contested primary election. Green spent $70,000 from Oct. 23 to Election Day. Some of the largest amounts included $26,500 for ads with KHON; a $10,000 payment to Deep Blue Strategies for media consulting; $7,600 to West Hawaii Today for print ads, and about $4,225 for Facebook ads. He also spent $3,385 at HASR Bistro, a downtown restaurant, for a campaign event and paid Chelsea Lockridge $2,500 for work as a campaign staffer. Lockridge, who clerked for the Senate Human Services Committee that Green chaired last session, was paid more than $20,000 this year by Green’s campaign for various campaign duties, according to Campaign Spending Commission data.